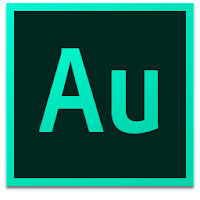 Adobe Audition CC (formerly Cool Edit Pro) is a professional digital audio workstation for mixing, finishing, and precision editing. It allows you to mix, edit, and create audio content with a comprehensive toolset that includes multitrack, waveform, and spectral display. Adobe Audition CC is designed to accelerate video production workflows and audio finishing - and deliver a polished mix with pristine sound. Adobe Audition CC Offers 20GB of cloud storage to keep your files organized across multiple computers and share your work with colleagues and clients. Moreover, it offers easy syncing of your settings across multiple computers with Adobe Creative Cloud. The program originally developed by Syntrillium as Cool Edit, Adobe purchased Cool Edit Pro from Syntrillium Software in May 2003 for $16.5 million as well as a large loop library called "Loopology". Adobe then changed the name of Cool Edit Pro to "Adobe Audition". Audition CC also include a growing library of expert video tutorials to help you get up to speed quickly and master new skills. Learn the basics (record, edit, and mix audio for video, podcasts, and effects) or refine your skills with tutorials designed to inspire: https://helpx.adobe.com/audition/tutorials.html. Disclaimer: Direct downloads for the lastest version of Adobe Audition CC 2017.1.10.1.1 are provided by the official software's author, we can't guarantee safety, availability or download speed. Moreover, we don't and we won't provide any pirated/illegal versions or tools. We recommend you to avoid it as these methods can harm your device. If you like the software, buy it to support the developers. (We provide software discounts for many worldwide brands).